The curve defines the value (Y axis) of the property over time (X axis). Keyframes are user-defined values on certain frames and are represented by little black squares. These become orange if selected. 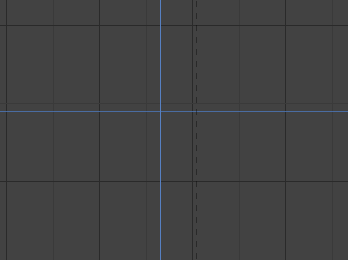 Each keyframe has a handle that helps determine the values of the curve between keyframes. These handles are represented by extruding lines with circular ends and can be selected and modified to change the shape of the curve. See 控制柄类型 for more information. Toggles the visibility of the 2D Cursor. Draws F-Curves using anti-aliasing and other fancy effects (disable for better performance). Toggles the display of a curve's handles in the curve view. Only shows the keyframes markers on the selected curves.